eCoinomic.net service: FIAT LOANS AGAINST CRYPTO ASSETS COLLATERAL eCoinomic.net product is of the highest demand: the total volume of the cryptocurrency market is estimated at 300 billion dollars. Moreover, the volume of monthly loan requirement is estimated to be more than 6 billion dollars. “Get the money — keep your investment!” is a team vision of the ecosystem and a marketing formulation of the service. The smart contract, as the essential part of the eCoinomic.net platform, enforces the fulfillment of the loan agreement and monitors the current rates on the exchanges. About us write 100+ media mentions such as Forbes, De Center, Coinspeaker etc.We obtained a legal opinion for European Union and Korea from KPMG, JIPYONG and other reputable law firms. CNC token was acknowledged to be the utility token. CNC token is a utility token, which is used to pay commissions for loan contracts. The life cycle of the CNC token implies a gradual reduction of the overall number of tokens in circulation, which never goes down to zero. All tokens that have not been sold during the ICO are to be destroyed. All platform commissions are indicated in USD but are accepted only in the form of tokens All the tokens once accepted as a commission payment are blocked for a period of five years. These principles lead to the constant increase in the value of CNC, whereas token divisibility allows payments with its hundredth or thousandth parts. The team of more than 80 highly qualified experts creates a global network that lends fiat money to individuals and small businesses using crypto assets as a collateral. Thus, there is no necessity any more to sell crypto assets to get money. 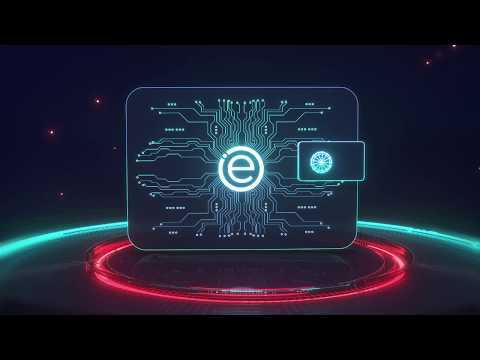 eCoinomic.net project got the operating licenses from the Ministry of Economic Affairs and Communications of Estonia: -Operating license FVR000181: Providing services of exchanging a virtual currency against a fiat currency -Operating license FRK000150: Providing a virtual currency wallet service Highest score at ratings The best experts of TOP ICO Ratings evaluated eCoinomic.net ICO with highest rate! To purchase CNC tokens on eCoinomic.net, you just need to have a bank card of the VISA or Mastercard payment system. The service is provided by the European partner bank of eCoinomic.net in compliance with all the modern requirements for payment security. Team - strong, experienced and capable. Vision - makes sense. Crypto collateralised at 50% seems about right and the reserve should help prevent any issues for creditors. Would like to see a greater focus on legal/regulatory aspects that will need covering for providing credit. An analysis of competitors is also needed to make the WP complete, in my opinion. Product- I couldn't find an MVP on the site. 2 for now. Good luck to the team in implementing this project. Strong team, especially in blockchain development, that is crucial for project. KYC is passed. Although idea in general is not unique, the exact implementation is innovative and highly potential. P.S. I recommend the team to check informativeness of WP, that will recover the benchy score. Conducting cryptocurrency market research, technical solutions evaluation. Working team assembly, concept development. First public information on the project. Early-stage development of the platform. Pilot project launch in Russian Federation. Obtaining of licenses, developing solutions for different jurisdictions. Partnership with top global payment agents. Signing the Letters of Intent with financial institutions and family offices. eCoinomics.net payment agent with open API launch. Platform launch - November for early adopters, December - public. Finance transfers from financial institutions and family offices. Expansion through global partnership with local microfinance organizations. Legal procedures for bonds issue. Cooperation and technical connection with trading platforms. Procedure of crypto bank registration start. First stage crypto bank launch (licensed in the UK and EU).